Hey everyone! I've had this idea in the back of my head for awhile now, and I've finally put it to the test! 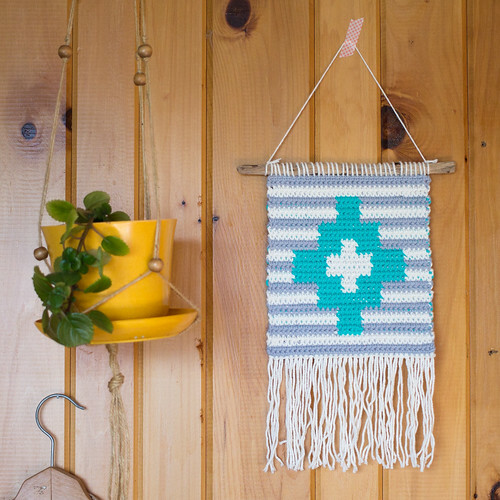 I've been seeing and loving all the woven wallhangings right now, and I thought that I could do something similar with tapestry crochet. So this is my first attempt! I drew out a design on graph paper, and crocheted it up with cotton yarn and a G (4.25mm) hook. I added fringe on the bottom, and whipstitched the piece onto a piece of drift wood. I'm pretty excited about how it turned out and I'm itching to try another! 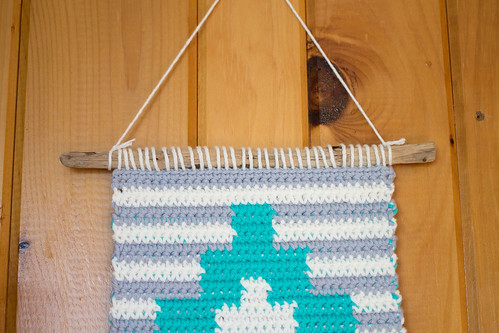 Watching your design emerge with tapestry crochet is a little addicting! Do you guys like tapestry crochet? How clever, Kate! It's beautiful. I've done a little tapestry crochet, but not much. I'd like to delve more into it and design some pieces. 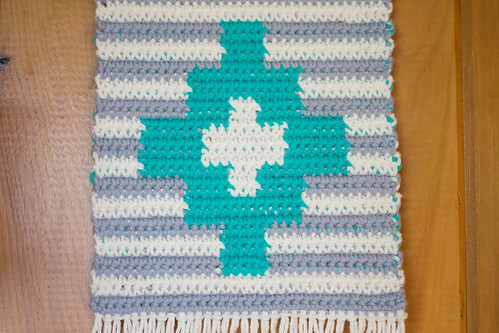 It's kind of like combining cross stitching and crochet.